Quick to fit, as no additional cabling required. 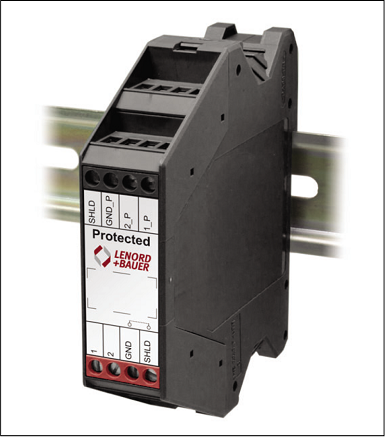 The Protector 485 is a surge arrester for connection to an RS485 (half duplex), a PROFIBUS interface or a CAN bus interface. In case of offsets on the potential of up to 10 Veff AC (caused, e.g., by earth loops) the electronics are protected and communication is still maintained. As a result data transmission is not interrupted even under very difficult conditions. Only in case of offsets on the potential of more than 10 Veff AC (caused, e.g., by a lightning strike) is the communication interrupted for the duration of the interference while the electronics are fully protected. As an intermediate device, the Protector is connected directly to the interface of the device to be protected without further cabling. Due to the low series resistance in operation, a terminating resistor can be left in the device protected. Due to its compact design with a width of 22.6 mm, the Protector can be placed in a control cabinet with minimum space requirements. 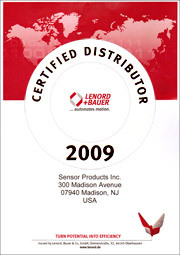 The marked field on the adhesive label of the Protector may be used to affix an equipment ID label.